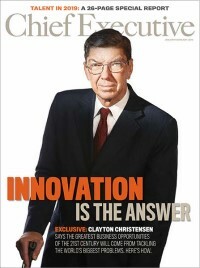 Rowan Gibson is recognized as one of the world’s foremost thought leaders on innovation. His new book, The Four Lenses of Innovation (Wiley), examines the thinking patterns or perspectives that have been catalysts for breakthrough innovation throughout human history, and shows you how to use these perspectives to infuse creativity into your own organization. As companies battle it out in today’s hypercompetitive markets, where traditional forms of differentiation are now just commodities, the primary competitive weapon has become an organization’s capacity for radical and continuous innovation. CEOs wishing to lead from the front will need to understand how to dramatically improve this capacity to give their companies a strategic advantage in the new global innovation war.